HuntingClothesPro: Who's ready for some Turkey Hunting? 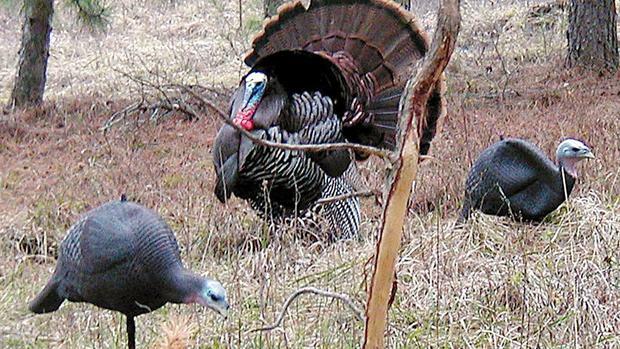 Pretty exciting, tomorrow is Wisconsin's opening day for spring turkey hunting. The youth hunt was last weekend even though the weather wasn't the best and it was pretty cold. That didn't said the kids from getting out to do some turkey hunting. I am looking forward to turkey hunting this year and hopefully tomorrow I'll being coming home with a nice tom. I know my husband and I enjoy turkey hunting so much we both have tags for the later seasons. It's nice to put some really good food on the table all while enjoying nature. We plan on bringing our two daughters out with us to see if they are interested in turkey hunting or not. One of our daughters really enjoy waterfowl hunting so not sure why she wouldn't like turkey hunting. I just want to wish everyone Good Luck this spring turkey season and stay safe. Who is going spring turkey hunting this year? Do you have any extra tags?